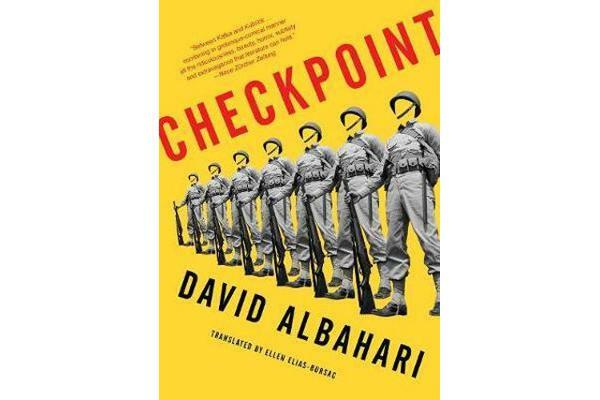 Atop a hill, deep in the forest, an army unit is assigned to a checkpoint. The commander doesn’t know where they are, what border they’re protecting, or why. Their map is useless and the radio crackles with a language no one can recognize. A soldier is found dead in a latrine and the unit vows vengeance-but the enemy is unknown. Refugees arrive seeking safe passage to the other side of the checkpoint, however the biggest threat might be the soldiers themselves. As the commander struggles to maintain order and keep his soldiers alive, he isn’t sure whether he’s fighting a war or caught in a bizarre military experiment. Equal parts Waiting for Godot and Catch-22, Checkpoint is a haunting and hysterical confrontation with the absurdity of war.